This workshop focuses on traditional rock climbing techniques and gear placements. Today is not about guiding you up a trad route, it's about teaching you how to guide yourself. 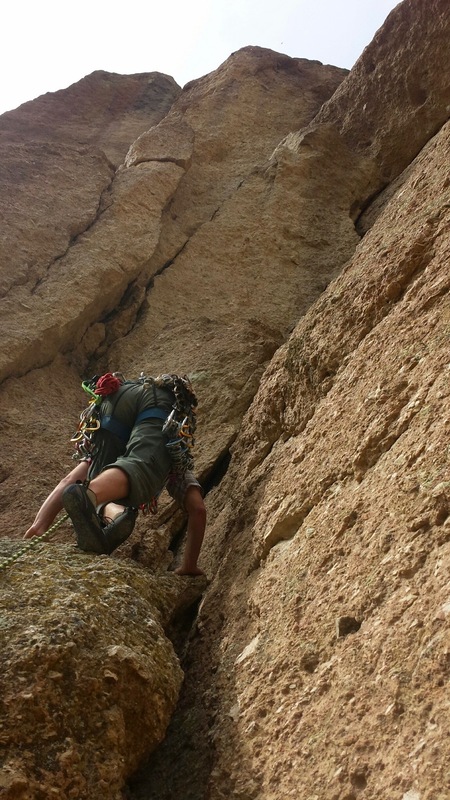 Traditional rock climbing is exciting, yet daunting. We will break it down for you in a way that is manageable, and will allow you to practice in a safe learning environment. You will learn about good trad gear placements and bad placements. Not all pieces are created equal, and each piece of protection is subject to a different amount of force when absorbing a fall. You will learn all of these important details. Remember, protecting a climb isn't just about protecting yourself in a case of a fall, it's also about protecting your partner. Traverses and overhanging sections of rock can be challenging to protect, and we'll teach you the secrets. By the end of the day, you will be on the sharp end of the rope, placing protection and receiving immediate feedback on the good, the bad and the ugly. In this class we will build on the knowledge you gained in your Level I Rock Climbing Anchors and Rescue Workshop (a pre-requisite for this course). Students should have the ability to safely belay with a plate, tube or assisted breaking device. 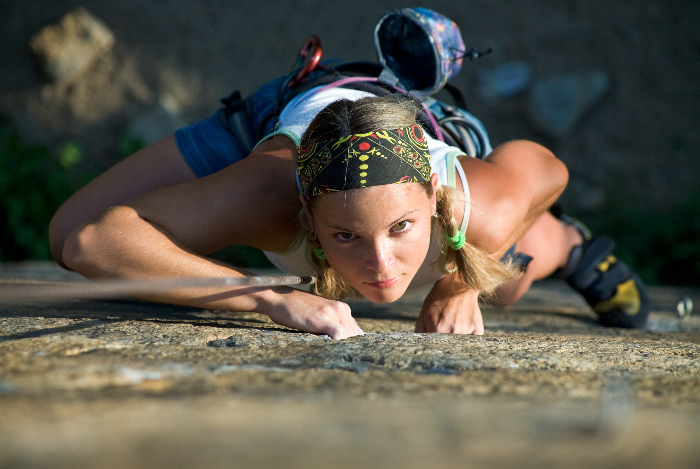 Students should be able to confidently rock climb at a grade of 5.6 outdoors (5.9 indoors). Professionally trained and certified rock climbing guides; park fees; rock climbing equipment (ropes, anchoring equipment, helmets, harness, shoes, belay devices). Water (2-liters); lunch/snacks; tip for your guides; sunscreen; sun glasses; sun hat. At this point in the game, you should have a basic rack for traditional rock climbing. Some cams, nuts/hexes, nut tool, cordellette, alpine draws and a collection of locking and non-locking carabiners. Please bring your own rack if you have one, and be sure to mark your gear so that it doesn't get confused with another participant's gear. Comfortable athletic clothing; sneakers (for when you're not rock climbing). If you have your own personal rock climbing/safety equipment bring it, if you need to borrow gear from us, just let us know your waist size (for the harness), and shoes size (for our magic climbing shoes). We'll be rock climbing at Stoney Point Park in Chatsworth, approximately 45 minutes from downtown Los Angeles. We'll send you driving directions after you register, and will meet you at the cliffs at 8:00AM. 4:30 PM - Wrap up; clean our climbing site. 5:00 PM - Estimated end of class.